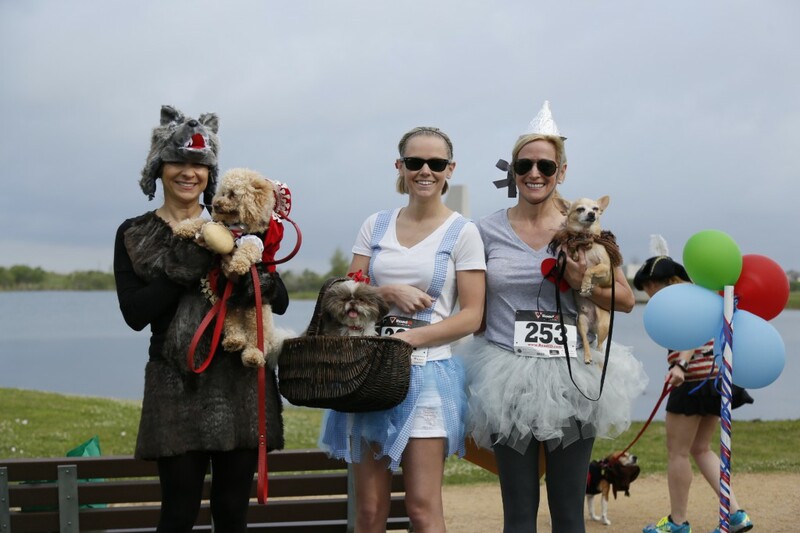 Fort Bend Cares recently held its first annual “Doggone Fun Run/Walk” on April 12th at Sugar Land Memorial Park to raise funds for disadvantaged youth in the county. More than 170 runners/walkers and 70 four-legged canine friends came out on the beautiful spring morning to participate. Medals were awarded to winners in the “5K run without four legged friends” as well as the “5K run with dog.” Fun was had by all thanks to the “Top Dog Sponsor,” Michael Bornstein Pediatric Center, and “Leader of the Pack Sponsor,” Silver Eagle Distributors. Briggs & Veselka Company, Kevin Patton State Farm Agency, Billy and Tammy Brown, Sunoco Logistics and Memorial Hermann Sugar Land also helped sponsor the successful morning. CenterPoint Energy, Legacy Ford, Kroger and Man’s Best Friend also contributed to make the event great. Terrie Gorney, Director of Fort Bend Fit, helped organize logistics for the day and helped to guarantee a successful race/walk. 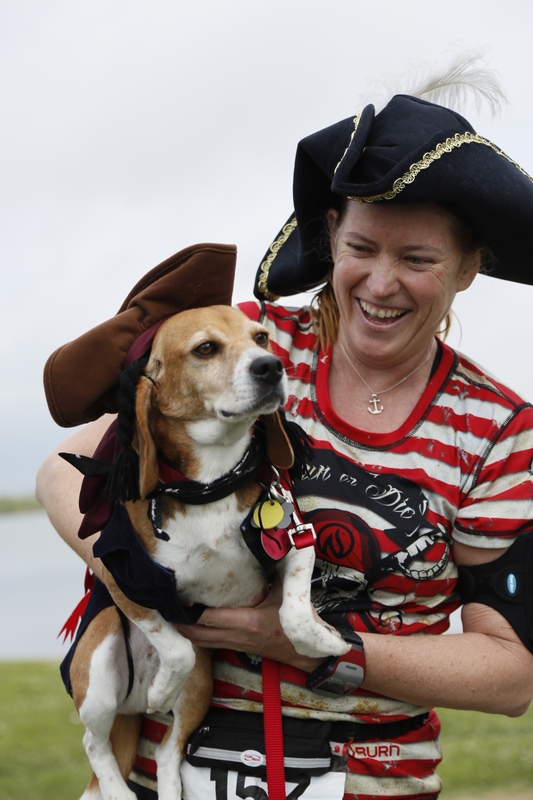 At the conclusion of the run/walk, a costume contest was held for “Best Owner and Dog Matching,” “Best Small Dog Costume,” and “Best Large Dog Costume.” Dogs in favorite athletic jerseys were featured as well as ones in movie character costumes to win over the judges and race day fans. 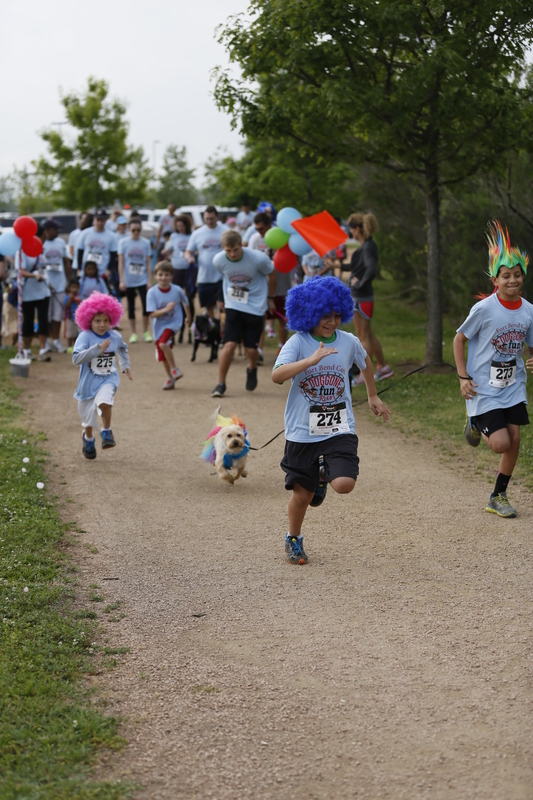 The event raised more than $15,000 for underprivileged youth in Fort Bend County. Fort Bend Cares has raised more than $1 million dollars in the past nine years for approximately 60 different organizations that serve disadvantaged children and youth in Fort Bend County. Several sponsors enjoyed the beautiful weather at the event. 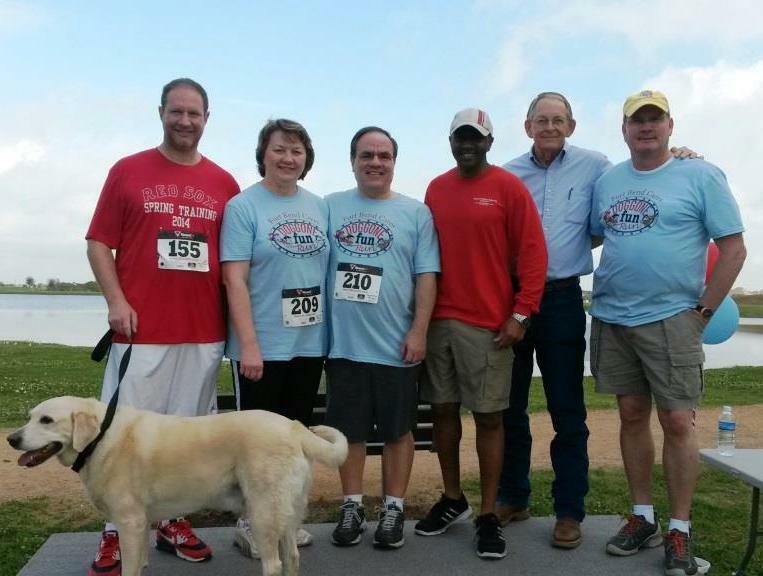 Pictured: Dr. Michael Bornstein of Pediatric Center with his furry friend, Pat and John Flatowicz of Briggs & Veselka Co., Kevin Patton of Kevin Patton State Farm, Fort Bend Cares Co-founder and on-site physician Dr. Robert McClendon and Kevin Kohl of Silver Eagle Distributors. Photo courtesy Fort Bend Cares. For more information or to become a volunteer or sponsor at future events, visit www.fortbendcares.org or call 832-819-2005.